Convertica eCommerce & membership website development » Performance Optimization » So What Really Does It Take To Make A Newly Launched Website Successful? 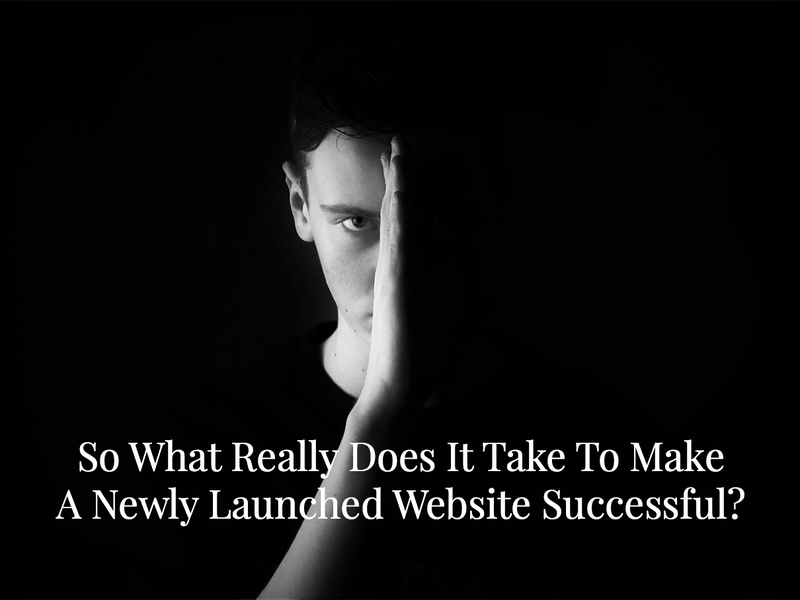 So What Really Does It Take To Make A Newly Launched Website Successful? It’s just half the work done. Congrats on launching your new website. It looks great, feels great. Piece of work it is. Now what? There are a millions of websites on the internet. And now there’s one more. How will it work? Who will notice it? Who will visit it? And when they do come, how will you convert these visitors to paying customers? Google (and other search engines for that matter) have no clue about your newly launched website. Even though you’ve integrated Google Analytics, Google Search Console, Google doesn’t know what it’s worth. So Google follows a simple policy. They’d care about your website if other’s care about it. Some one has to vouch for this new doctor. This person who is vouching for this new doctor must himself be considered an authority. (No one cares if a street-side beggar vouches for this doctor). Google works exactly like this. Google needs to know who is referring (linking) to your site. And they need to know if this referring website has any authority of its own. Spammy websites link to all sorts of sites. These links mean nothing. Your first goal should be to make noise. Make some decent noise. Let other’s know about your website. Put it on your business card, flyers, email signature and where ever you can. Take pride in it, show it around. While this buzz catches up, focus on building links from other authority websites in the same niche. Careful there lest you build links from spammy site and get penalized (blacklisted) by Google. If you are not sure, hire a professional digital marketing agency. They are specialists and they know what kind of sites are relevant, how do they measure up and how to get them to link to your website. Social is the word here. People love good content. People love to “like”, “share” and “bookmark” good content. Google and other search engines take these signals seriously. And when content is shared, it reaches more social circles — circles of those who share and circles of those who re-share. You see how this goes? Be alive on social-media. But careful again. Social networks are wary of people who keep sharing the same site again and again with nothing else to share. A Digital Media agency comes handy here too. They know what kind of content works on which social networks. They know the time of the day, the day of the week and the frequency which works best for your specific site. Search engines love fresh, high-quality, unique content. That’s their bread and butter. You don’t have to take out an hour everyday to write. But when you do, make sure you share your expertise, bring unique value and information to visitors; and impress them such that they not only share this content but also bookmark it and come back to it. Make sure it addresses their search intentions, concerns and helps them make better decision. Good content is valued highly. And good content is your sales funnel. Want to know how it works? Look no further, here’s an excellent article on how content maps to the sales funnel. Rome wasn’t built in a day. Google wouldn’t index your site in a day. Even if it does, it can’t rank it in a day. It will index your site, wave its magic wand, apply its secret sauce, weigh it against millions of competing sites and finally tag it a “particular rank” for a “particular keyword”. And there are a millions of keywords, and millions of websites. The fight to the top 100 is tough, the fight to the top 10 is fierce. It’s tooth and nail and Google will take its own time to churn up millions of websites against millions of keywords. Depending on your niche and online marketing, the results will take any time from 2 to 4 months to show up. On an average, what you do today will reflect after 3 months. Don’t delay it, don’t give up either. Give it a chance. Create awesome content that people are searching for. That’s 25% of the work done. Share it. Re-share it. Build links around it. Market it well. That’s 75%. But by the virtue of technology, it takes patience before results show. Don’t give up. Keep at it. And if you need help get it today. The sooner you start the better.